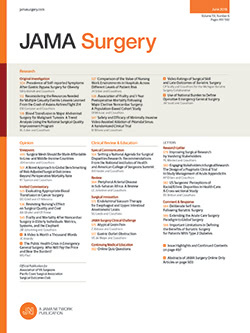 As of 2017, more than half of colectomy procedures in the United States are performed as minimally invasive surgery (MIS).1 In this issue of JAMA Surgery, Healy et al2 present Michigan Surgical Quality Collaborative data on variability in outcomes after laparoscopic colectomy (LC). The authors found significantly more variation in outcomes after LC relative to open colectomy among individual surgeons. This identified a quality gap for LC outcomes, the first step for quality improvement.